DESCRIPTION This is the one you didn’t know you were waiting for! This gorgeous 4 generously sized bedroom home sits on a quiet CUL-DE-SAC, surrounded with amazing neighbours & steps from picturesque views, walking paths,ridge,schools,& playground!This home welcomes & impresses from your first step in the front door w/ formal living a & dining room.A good size office just next to the entrance.The gourmet kitchen has upgraded appliances,expresso cabinets,granite counters and a centre island perfect for entertaining.A bright open floor plan with expansive windows offering immense sunlight with sweeping views of the farmers field.The master bedroom is a spacious retreat, as well as a luxurious master en-suite, his & her vanities separated by a large corner tub, with walk-in closet equipped to surpass any wish. The thoughtfully designed upper floor includes a bonus room open to look below to the main floor. 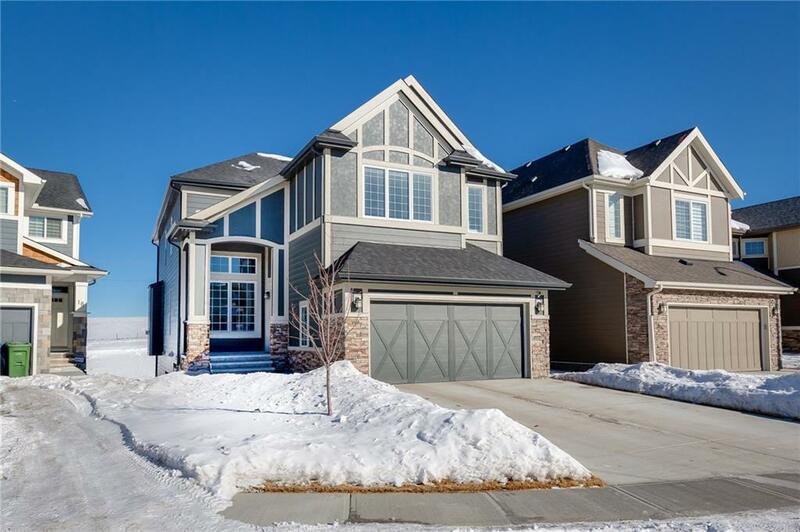 This home impresses on all levels and it is waiting for you to move right in.